Kofo is one of Africa's thought leaders in the subjects of entrepreneurship and innovation in the technology sector. After serving in the Nigerian Youth Service Corps, Kofo started her career in the banking industry, working with International Merchant Bank Plc and Chartered Bank Limited. She remained in the financial sector for over 12 years until 1997 when she left to start Interface Technologies, a security management and biometrics technologies company. 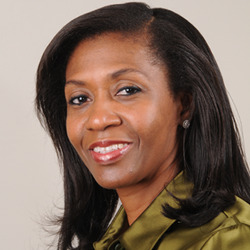 With a mathematics major, and an MBA from the University of Strathclyde, she successfully ran Interface Technologies Ltd. (ITL) for nine years, before establishing SecureID Nigeria Ltd., an offshoot from a small department in Interface Technologies and the first VISA certified plant in sub-Saharan Africa. Kofo is a business leader who recognizes the power of innovation as a vital factor for business success, something she not only encourages in all her employees at Secure ID, but in the many business conference speeches and presentations she gives around the world. As chief executive of Secure ID, which is still a relatively young firm creating MasterCard and Visa and operating in 16 African countries, Kofo is an excellent example of a chief executive that is building a successful company based on innovation. "SecureID has been recognised as setting the standard for innovation and creativity in the SmartCard Sector in sub-Saharan Africa." Kofo is recognised globally as a leading African woman entrepreneur, who has founded a world class manufacturing company competing successfully in a global market. 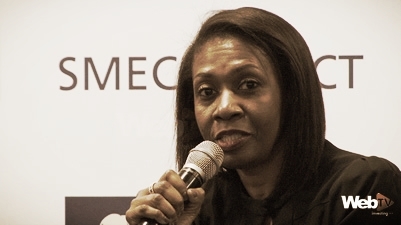 SecureID Limited, founded by one of Africa’s leading women entrepreneurs, Kofo Akinkugbe, has commissioned a SIM Card manufacturing line to support the needs of Nigeria’s rapidly growing mobile telecoms sector. Launched in 2005, SecureID is an independent, privately owned company located in Lagos, Nigeria that manufactures banking and telecom cards with mag stripe and chip encoding. This new manufacturing line ensures SecureID will continue to lead the way in delivering ‘innovative and first to market’ card technology and solutions. Nigerian specialist smart card company, SecureID, the brainchild of the highly-respected entrepreneur, Kofo Akinkugbe, is once again demonstrating why it is a leader in its field of expertise. This month, the company has unveiled a new pre-paid solution to aid the seamless enrolment of members to the Nigerian Bar Association (NBA) in Abuja. SecureID founded by one of Africa's leading women entrepreneurs, Kofo Akinkugbe, commissioned a brand new state-of-the-art manufacturing facility on January 19th. This new facility in Lagos is a world class, EMV-certified smartcard manufacturing plant – the first of its kind in Sub-Saharan Africa. Kofo Akinkugbe the founder of SecureID in Nigeria has launched the first EMV Plant in Sub-Saharan Africa that enables the local production of SIM cards, and SIM packages for the telecoms industry, bank payment cards and other high security polycarbonate identity cards. SecureID Nigeria Limited, founded by Kofo Akinkugbe, a leading Nigerian digital solution provider certified by Visa, MasterCard, and Verve for Chip Embedding, Chip Encoding, Chip Personalization, Card Personalization, and Card Fulfillment, in partnership with Sterling Bank has provided a Biometric ID Card to enable ‘Financial Inclusion’. In recognition of its excellent business practice, SecureID Limited has been named the Most Outstanding Mature Business in the 3rd African Leadership Network Awards for Entrepreneurship. SecureID, it stated, was recognised for its pre-eminence as a thoroughbred start-up of African origin, competing successfully in a global market. Mrs Kofo Akinkugbe, on Thursday in Accra, Ghana, won the “2012 Africa Award for Entrepreneurship” for her contribution to socio-economic development of the continent. The News Agency of Nigeria (NAN) reports that Akinkugbe bagged the 100,000 dollars prize in the Outstanding Mature Business category. "We need to create an environment that would drive creativity. Do not be afraid to test new things. We must be creative, ensuring we are a step ahead of competition." 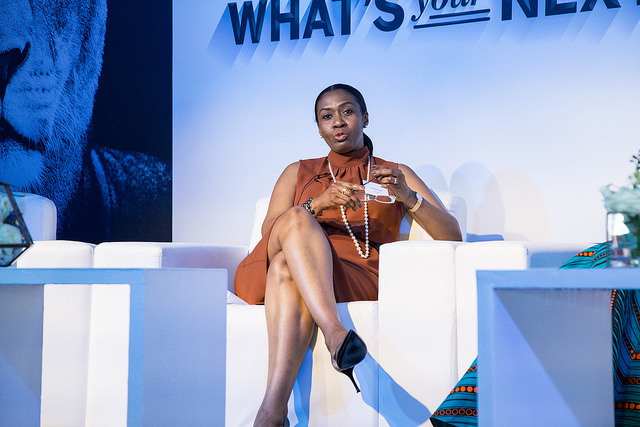 Kofo Akinkugbe, founder of Secure ID Limited share her entrepreneurial journey at the 7th Annual Career Conference themed ''Continuous Improvement'' held in Lagos on 17 March 2015. She talks about the birth of her company SecureID Nigeria Ltd. The growth and development of businesses in the 21st Century hinges on the strategic engagement of creativity and capacity into the models that guarantee sustainability of operations and service delivery. This is pivotal to Small Medium Enterprises, that are drivers of the economy. In this discourse on 'Creativity and Capacity' for Businesses from the FBN SME CONNECT conference Mr Seyi Oyefeso Group Head Retail, First Bank engages leading enterpreneurs Mrs Kofo Akinkugbe, Mrs Ndidi Nwuneli, Mr Audu Maikori on this important topic. "You will have opposition. If you're going to stand out, you are not going to be loved by the crowd. It can be lonely." In 2012, Kofo Akinkugbe won the Africa Awards for Entrepreneurship Mature Business Award in recognition for the impact and innovative business model of her company, SecureID.